PC gamers are ahead of the Windows 10 curve, and DirectX 12 should give adoption another boost. Windows 10 hit a milestone in the PC gaming world last month: The operating system is now installed on more than a quarter of all computers running Steam. Valve’s monthly Steam hardware and software survey shows that 26.63 percent of users were running 64-bit Windows 10 in October. Another 1.01 percent were running “Windows 10,” which presumably refers to the 32-bit version, for a grand total of 27.64 percent. The survey was first spotted by WinBeta. With these results, Windows 10 is putting more distance between itself and Windows 8/8.1, which combined account for 20.52 percent of Steam installations. Windows 7 remained the clear favorite, with a 44.42 percent share. As a whole, Windows still accounted for 95.39 percent of Steam installations, though it declined last month by 0.32 percent, almost entirely at the expense of Mac OS X. The Windows 10 adoption rate among Steam users appears to be far ahead of that for the general population, at least according to some third-party metrics. For October, NetApplications recently estimated 7.94 percent share for Windows 10 devices that accessed the Internet, while StatCounter’s pageview-based metrics came up with 9 percent. In all cases, adoption is slowing. Among Steam users, Windows 10 installs increased by just three percentage points last month, compared to eight percentage points the month prior. Adoption from PC gamers could get a boost in the months ahead, as more games launch with DirectX 12 support. The graphics technology promises to make PC games run much faster, but it runs only on Windows 10. Microsoft is also planning to get more aggressive with upgrades next year, reclassifying Windows 10 as a “Recommended” install so it downloads automatically on more machines. 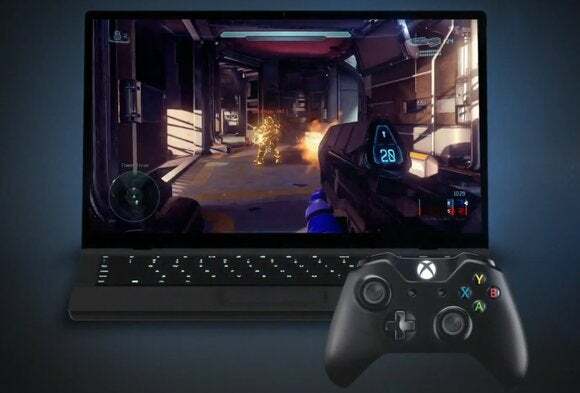 The story behind the story: Microsoft has traditionally treated PC gaming as an afterthought, but that’s starting to change with Windows 10. Between DirectX 12, deeper ties to the Xbox One , and PC ports of some first-party games such as Halo Wars, Microsoft is hoping gamers will have lots of reasons to upgrade.